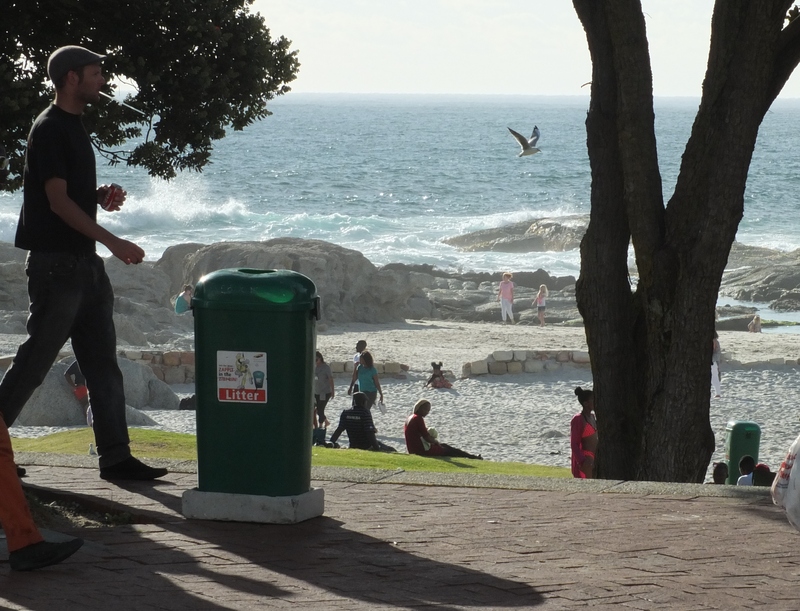 I’ve chosen to do my last post on South Africa under the”Sign Language” banner because money exchange and wiring signs were everywhere in Cape Town, yet often they were the only real reminder that we had that we were truly in Africa. Cheap calling rates to Angola, bargains in West African francs and cheap tickets to Nouakchott. I barely knew half of the places and names advertised. 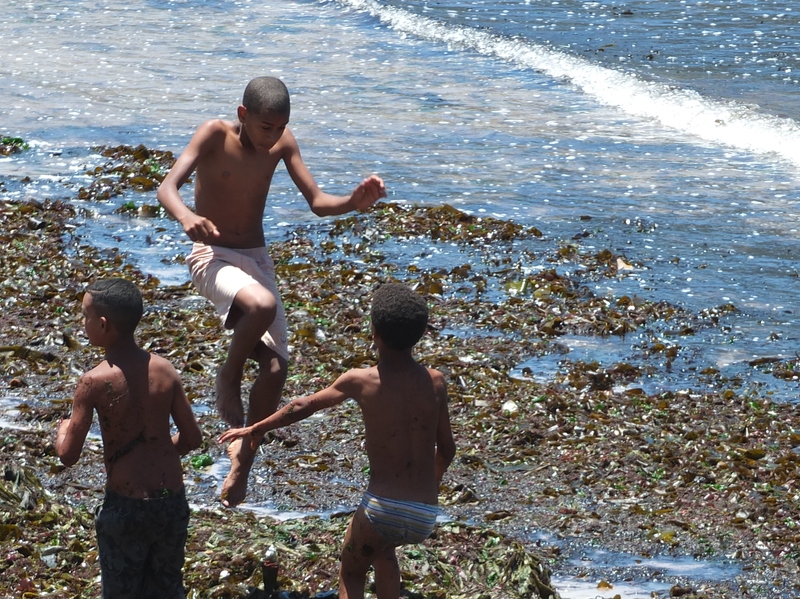 I was warned by many before we visited that Cape Town wasn’t really “Africa” and–although I didn’t get the opportunity to see the contrast–what I saw was enough to still understand why. Our time there was such a mixture of different emotions. You’d have to make the journey from one of the world’s poorest countries, to one of the world’s richer cities to understand the culture shock we found ourselves in. It took 24 hours just to feel normal again around traffic lights and sidewalks. I spent the next few days figuring out where I thought I was on the scale of all thing previously experienced: a little bit of England, a little bit of Australia, and a little bit of something else entirely. 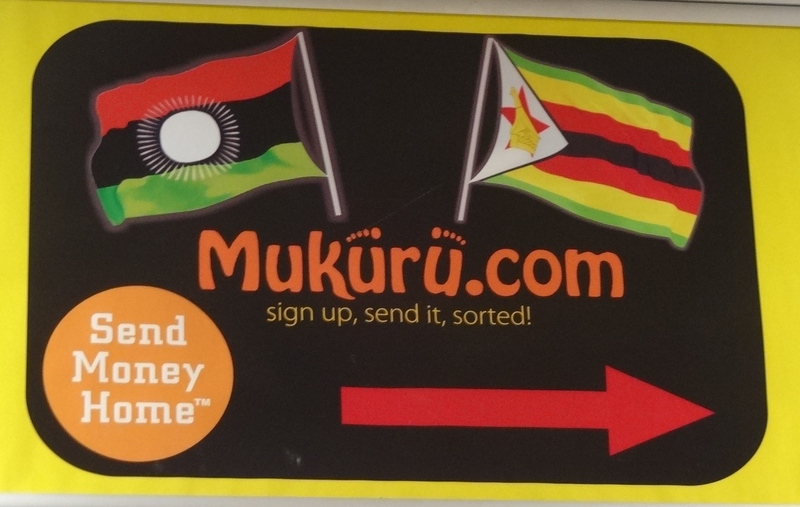 And, yes, judging by the staff who served me in the restaurants – a little bit of Africa. That was the oddest part. 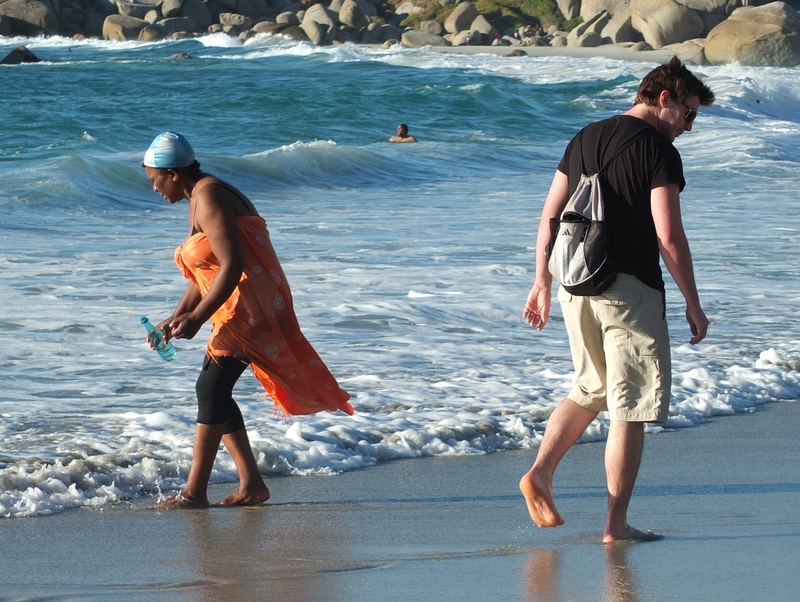 The separation of black and white is still very much in existence, but from the little slice of middle-class black South Africans that I saw, perhaps this is slowly changing. 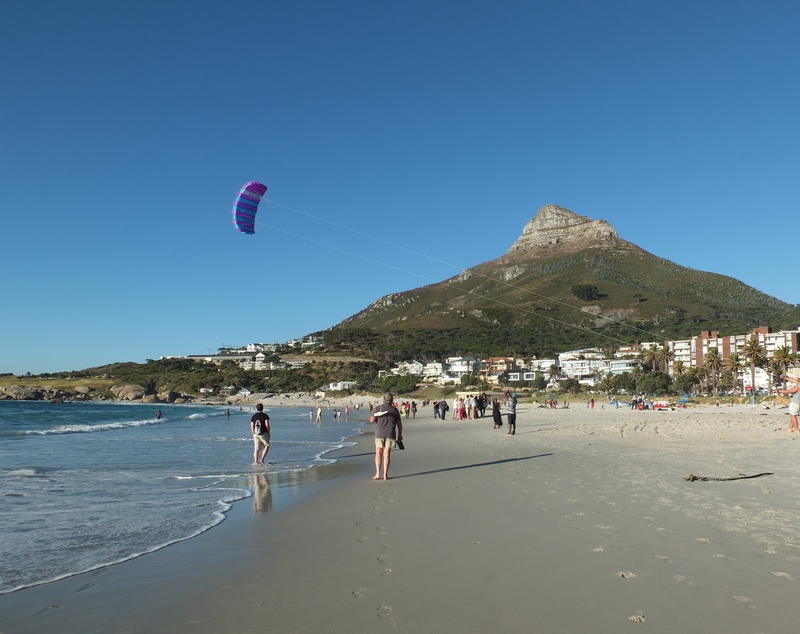 Relatively speaking, Cape Town was pretty busy over the Christmas/New Year period. It never felt congested like it does in Kathmandu so much of the time, but getting a dinner table at a nice waterside restaurant got very competitive, very quickly. 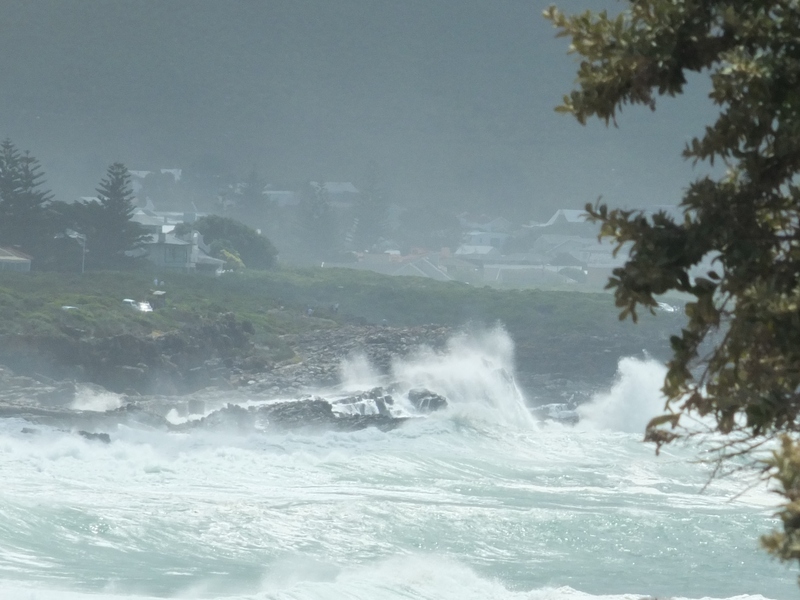 Cammps Bay is a popular destination for dinner and you need to score a seat early for an evening “sundowner” but, on the evening of our wedding anniversary, the weather turned stormy and the restaurant seats filled even earlier. 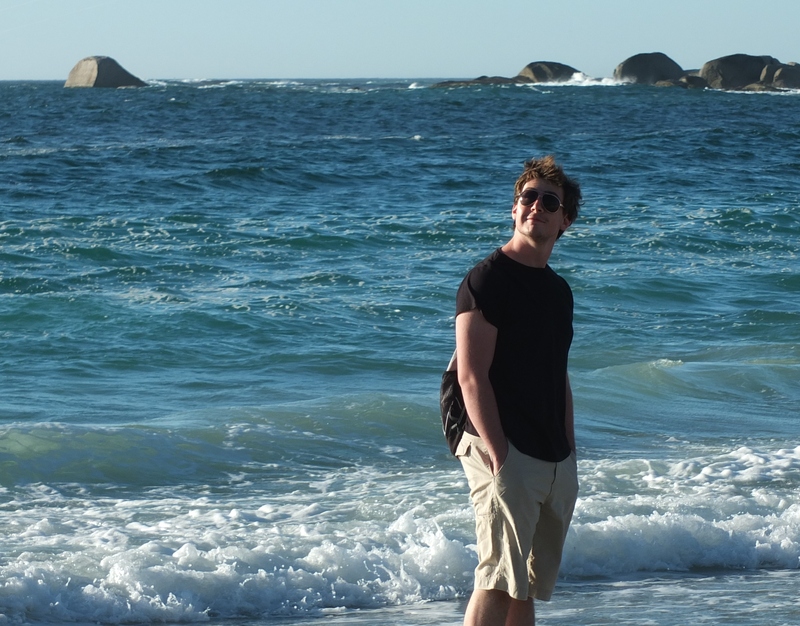 There was nowhere left to sit, so we decided to skip the pre-dinner drink and drive further down around the coast to Hout Bay and have dinner at a large old-fashioned seafood restaurant we’d discovered earlier in the week. 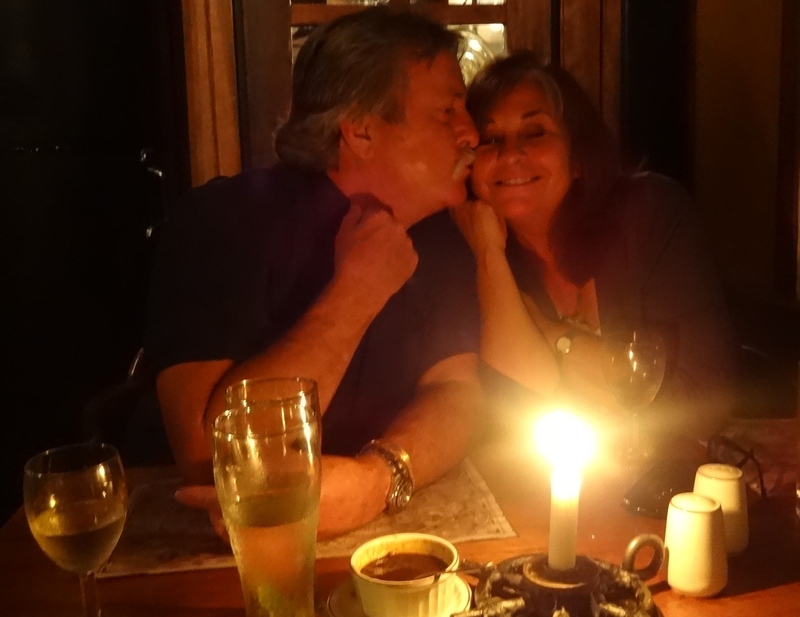 Once they learnt it was our wedding anniversary we got a great seat next to the window overlooking the beach and bay. The wind whipped, the small window panes rattled and the sky threatened rain. I felt like we were back in Devon or Cornwall in the winter watching the weather come in. We saw dog walkers on the beach and watched kids playing in the freezing cold ocean, tossing huge clumps of seaweed at one another, and it slowly grew dark. I ate so much fabulous lobster I could barely move. The stormy sky is the only clue to the bad weather. The wind blew hard, rattling the glass in the restaurant window. I felt like I was on the coast in England. 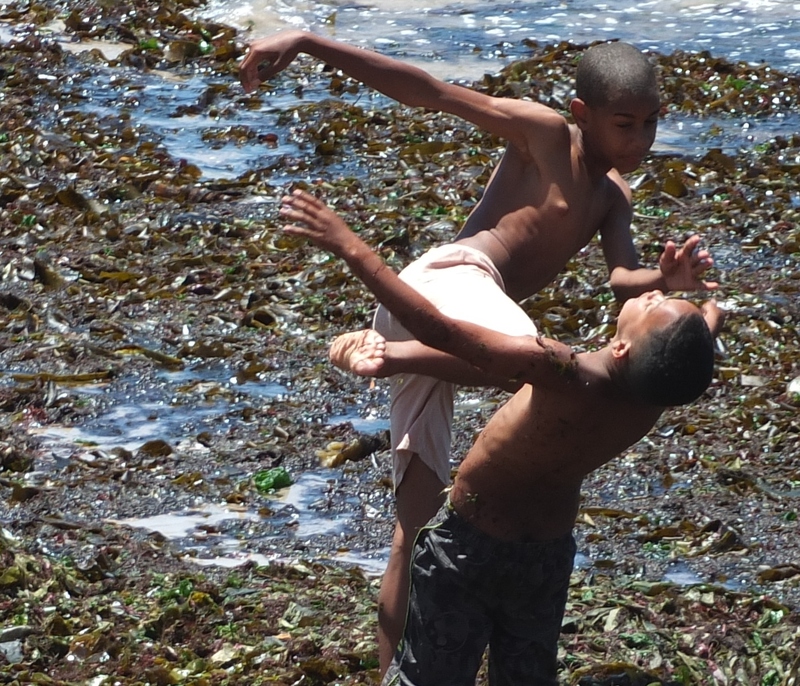 Kung foo kicks and seaweed throwing in the freezing water! Full of wine and lobster! It was an unassuming kind of place with warehouses to store freshly caught fish and kiosks selling fish and chips at local prices. 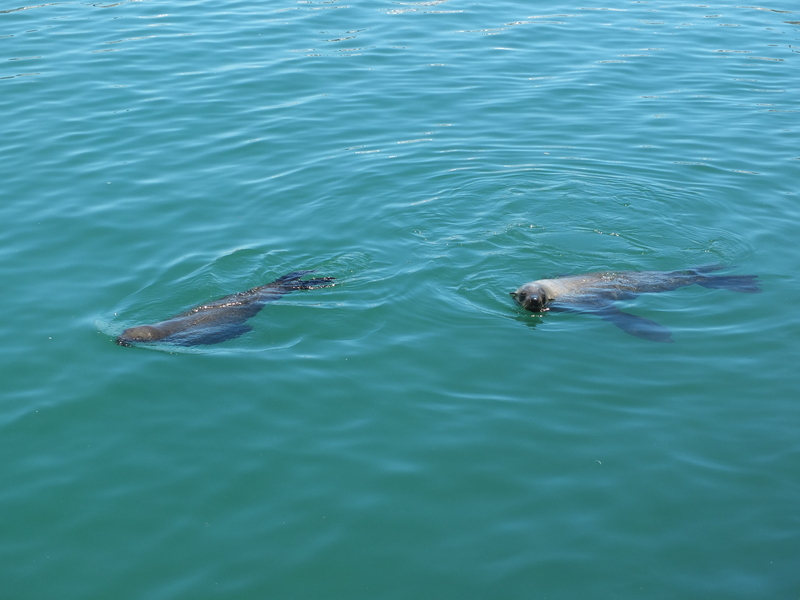 I liked watching people interact with the seals and seagulls. This guy was clearly a regular. 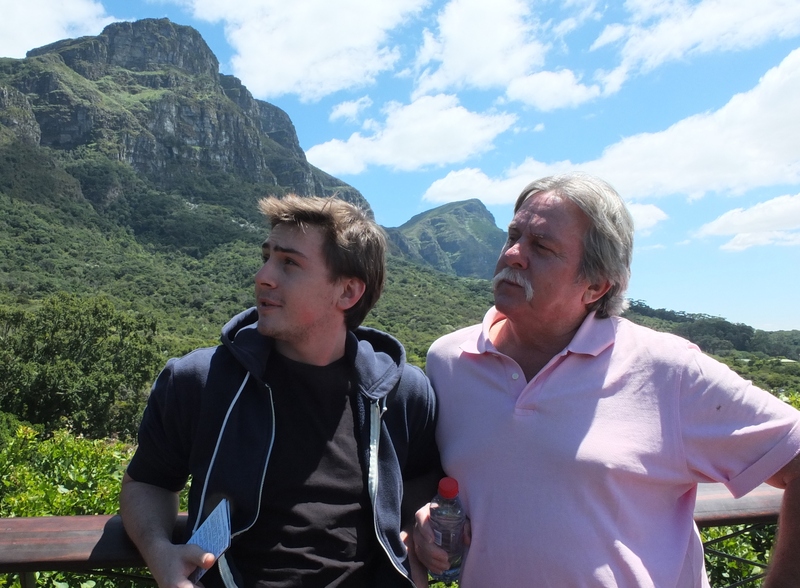 We were lucky to visit Kirstenbosch when we did. Over the Christmas season the gardens were relatively quiet before Christmas Day and we spent several hours wandering around the gardens. 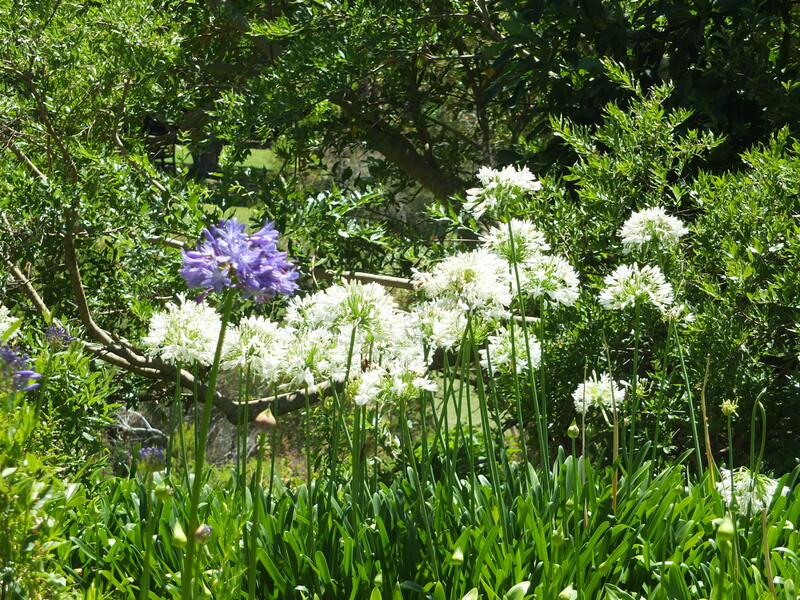 It is one of the most acclaimed Botanical Gardens in the world, set at the foot of table mountain. 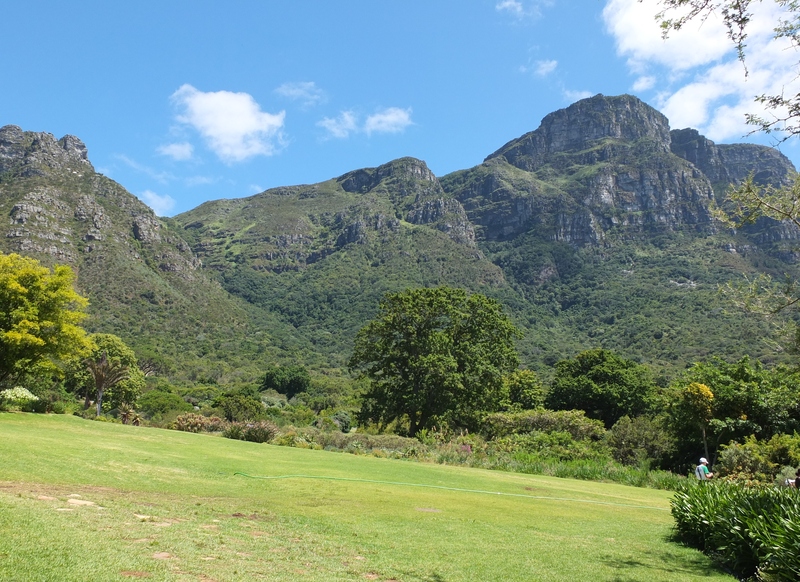 It was an unusual mixture of groomed and landscaped, mixed in with mountain trails that lead up on to Table Mountain itself. 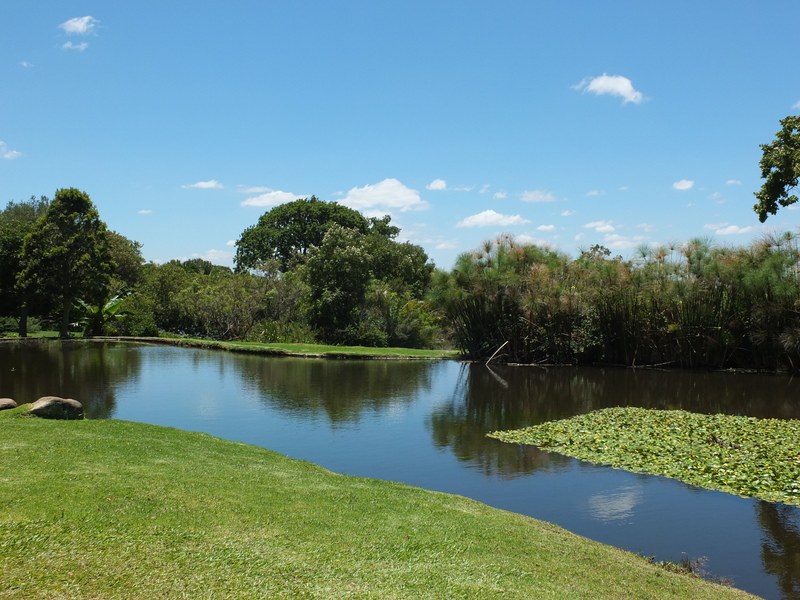 We hardly saw a quarter of it, but loved what we saw and really wanted to return for a picnic later in our stay. 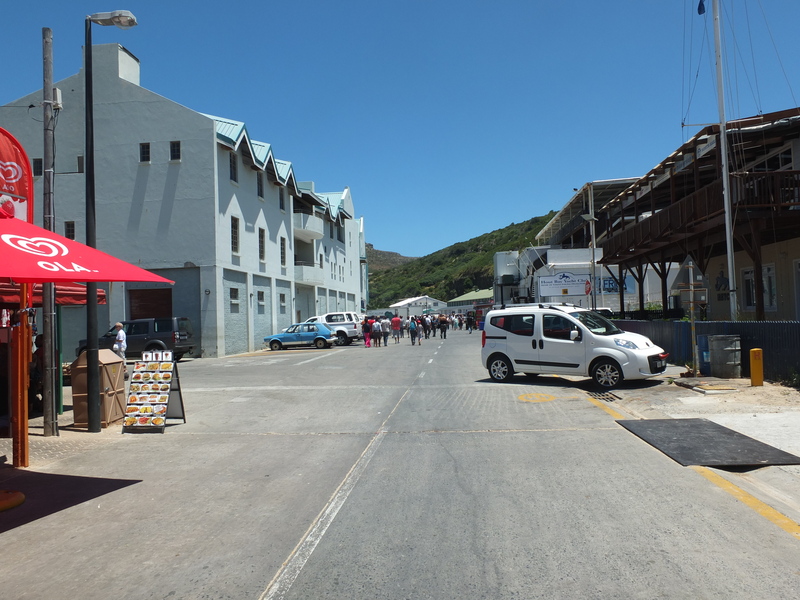 Unfortunately, that wasn’t to be as the holiday crowds descended, making parking impossible by 9.30am. But fantastic place to visit. I don’t have much to say. The pictures speak for themselves. Groomed meets wild. 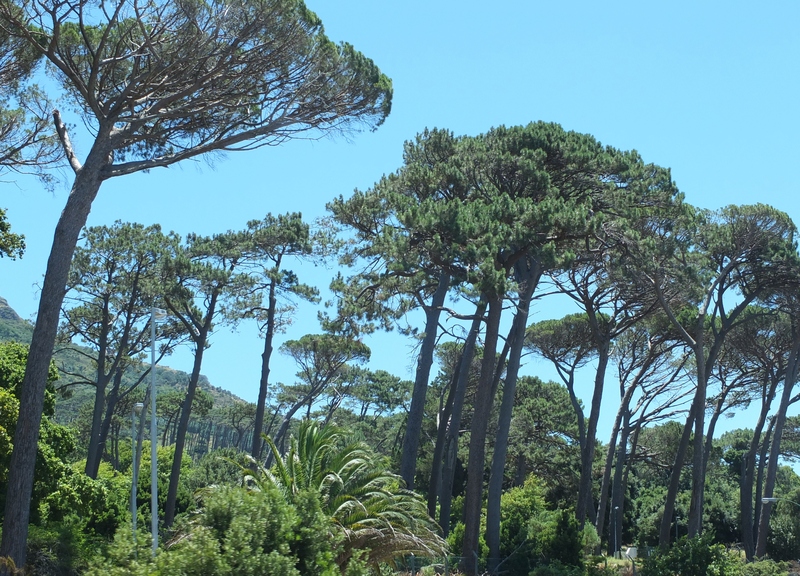 Table mountain makes a dramatic background to the beautifully groomed gardens. 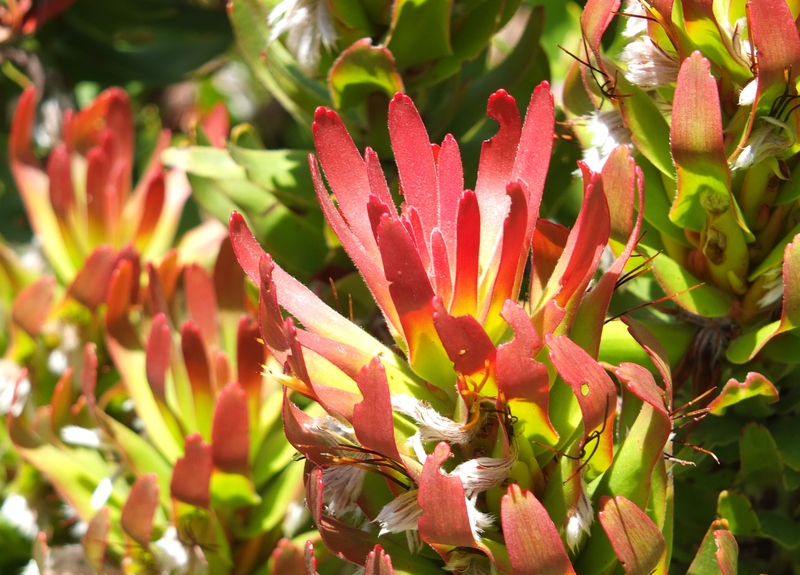 The Protea is the national flower of South Africa and looks like a colourful artichoke. 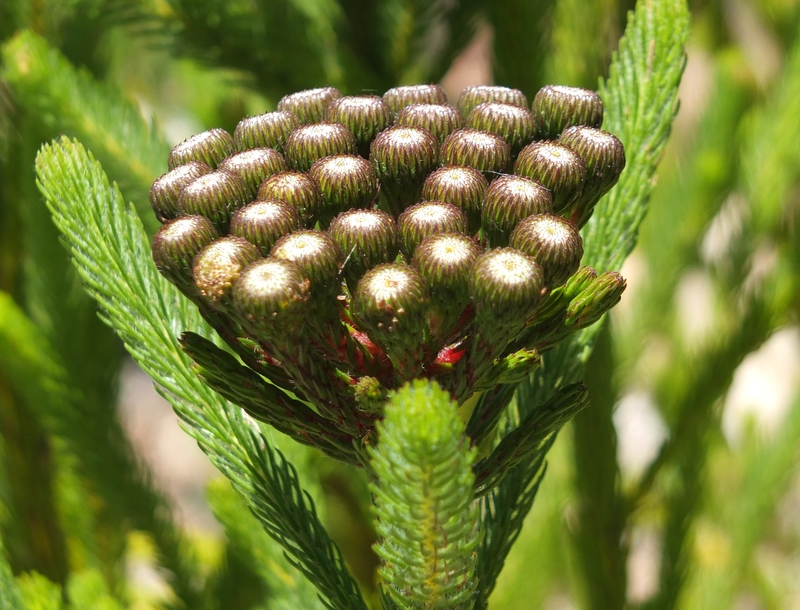 The Protea gardens were only in partial bloom and although this doesn’t look like a typical Protea, I believe its from the Protea family. There were so many plants I didn’t recognise. I thought this one was striking. Coming from the chaos of Kathmandu, the calmness of the park was overwhelming. I can’t believe its almost March. 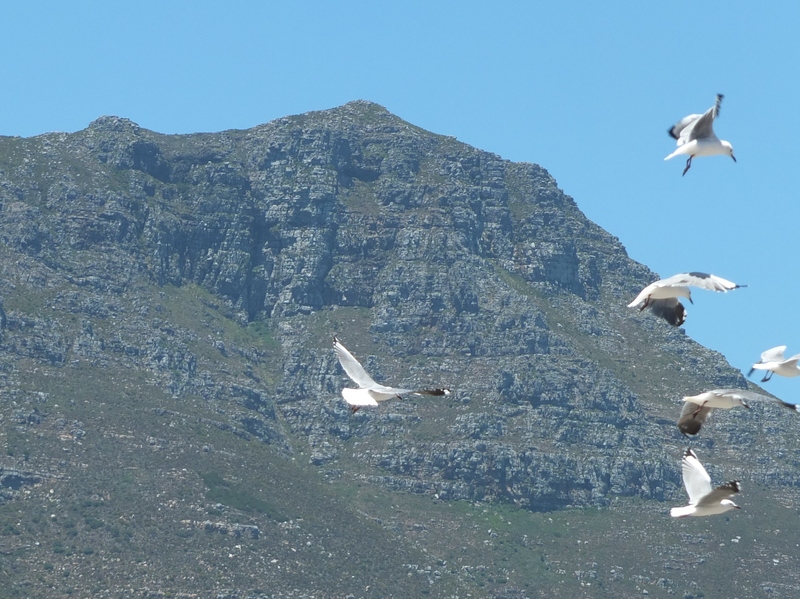 Firstly because time has flown by so quickly, but also that I haven’t yet time to think about blogging on the subject of two wonderful weeks in South Africa over the Christmas period. A further six months had passed since we were in Greece and out of the Kathmandu smog, and we were very ready for another fresh air break. 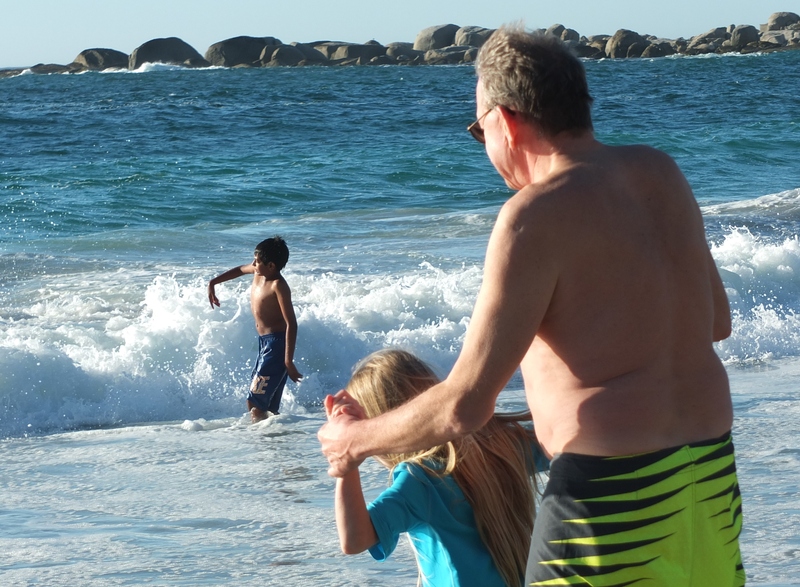 Cape Town had an abundance of fresh air, blue skies and blue seas and we loved it. 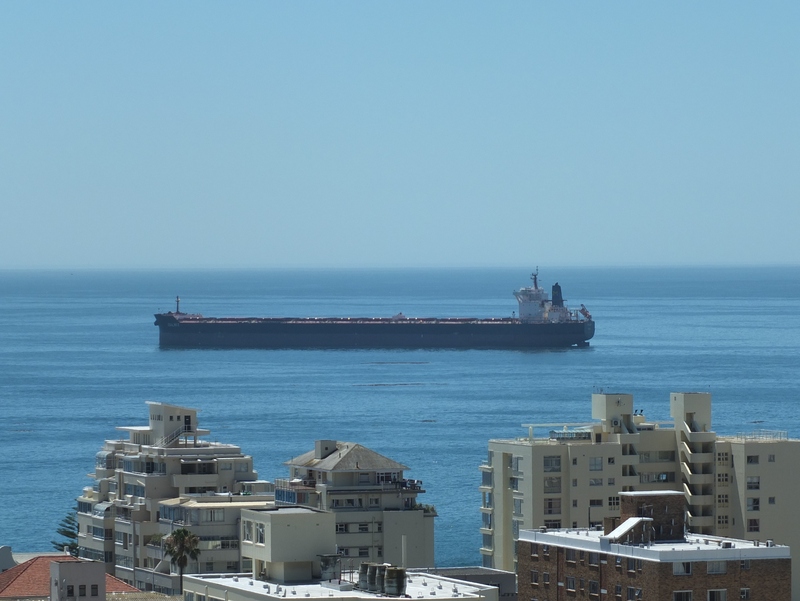 Friends kindly lent us their apartment with fantastic views out to the city and the sea. Nepal has amazing vistas but views of the mountains from Kathmandu are rare and most mornings we are greeted with haze, smog or fog…sometimes, I think, all three. Here the sea met the sky, the wind blew blustery fresh air and rang in our ears, but there was no cacophony of horns ruining the peace of the balcony….just lots of fresh air and that incredible view. I so hope that once we get to Jamaica this summer that we will finally be able to live in a home where you can open the windows and enjoy sitting outside again. Manila and Kathmandu have been impossible like that. I am really ready for a change. Ships that pass in the night, we didn’t see…but we did see plenty during the day. It was intriguing to imagine them scooting around the base of the African continent traveling from one side of the world to the other. And straight out in front of us….next stop Antarctica. 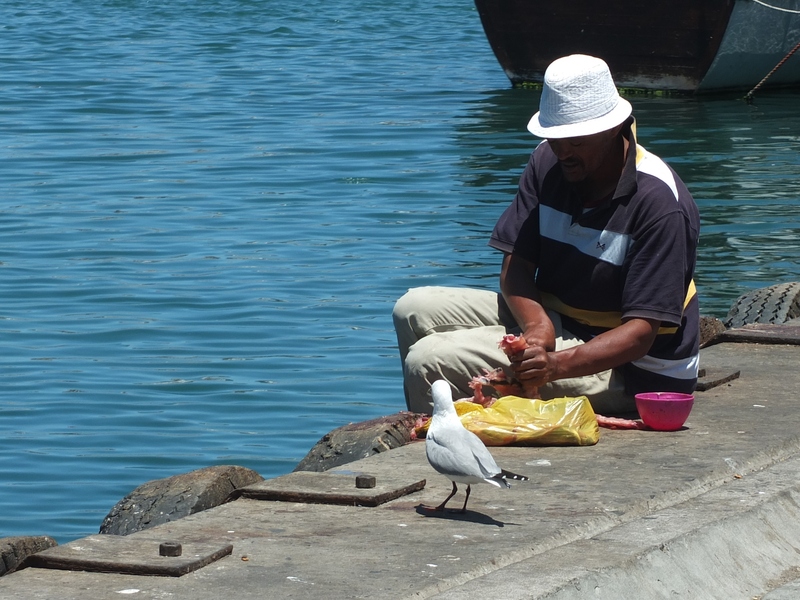 …although there were souls much braver around. You can’t tell from the photo but the water practically has ice cubes floating in it!! 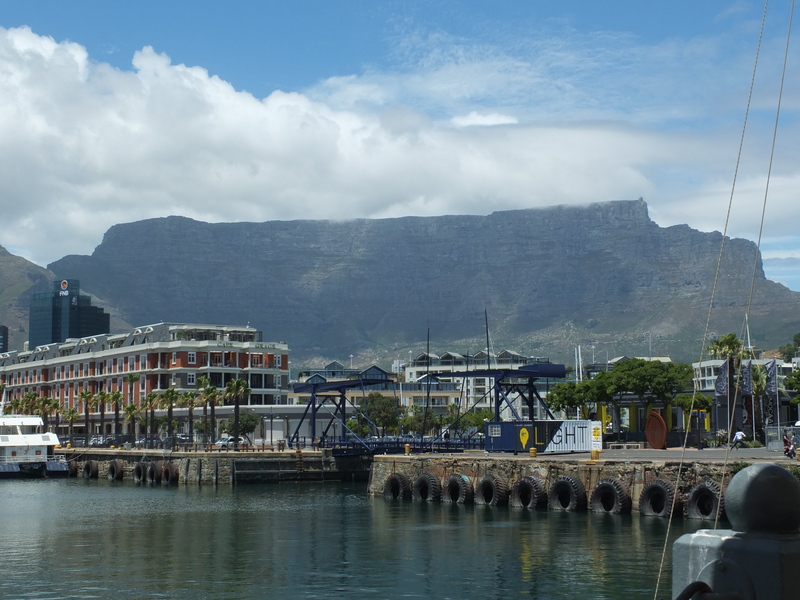 The famous Table Mountain displaying why it got its name. And also showing us the “table cloth” a rare patch of cloudy sky that likes to hang out on the mountain top and descend quickly and unexpectedly on the unprepared. We never made it up there because of the weather. Too bad. 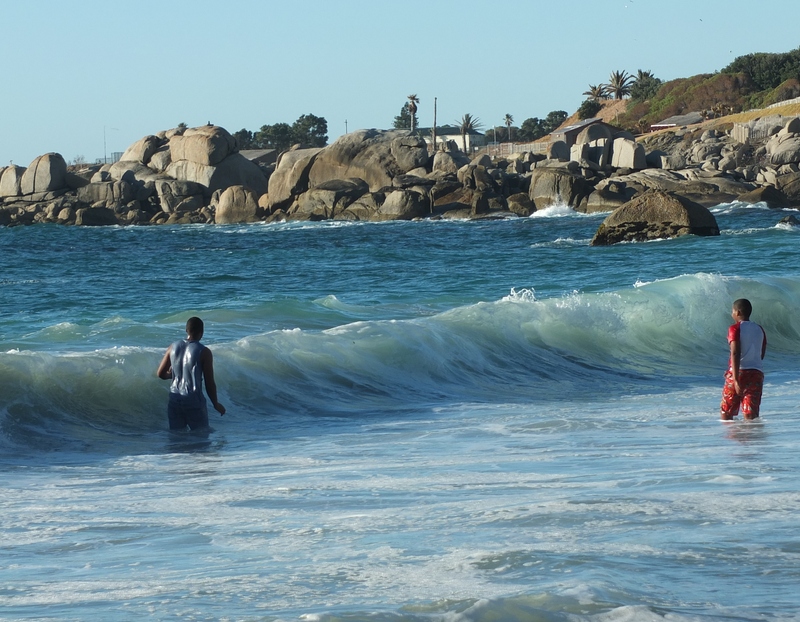 Seas like this reminded me for notoriaty of the Cape of Good Hope…these are crashing waves at Hermanus Beach, an area famous for whale sightings. 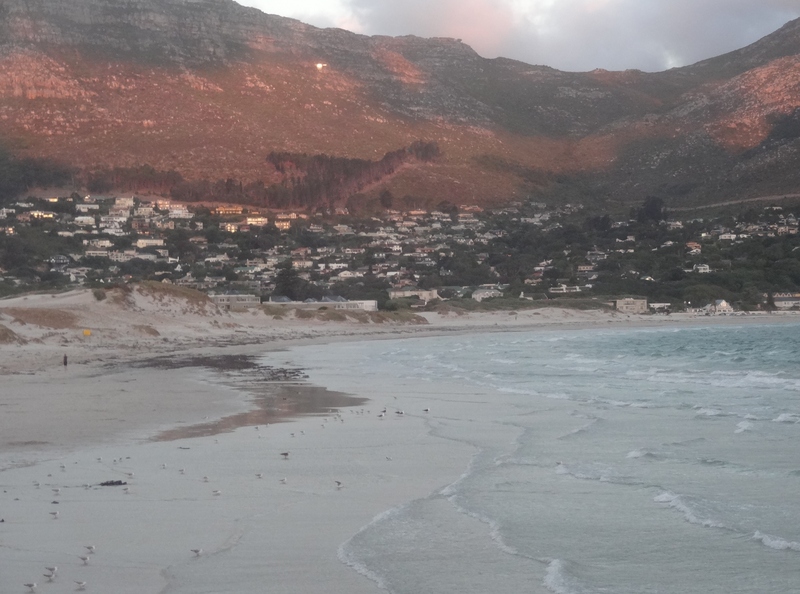 Finally, beautiful Cammps Bay in Cape Town. 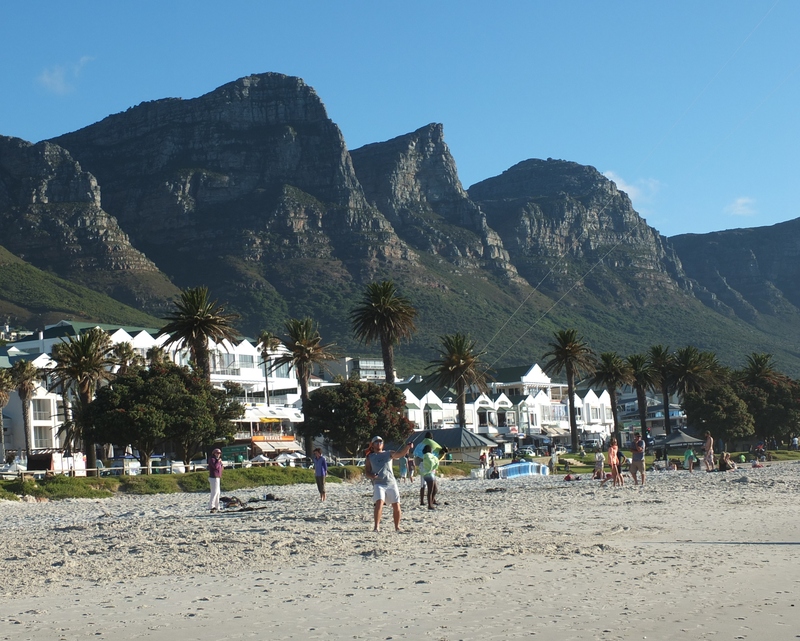 Teeming with restaurants, beach bars, beach activities and crowds. What it lacked in water sports, it made up for with everything else!